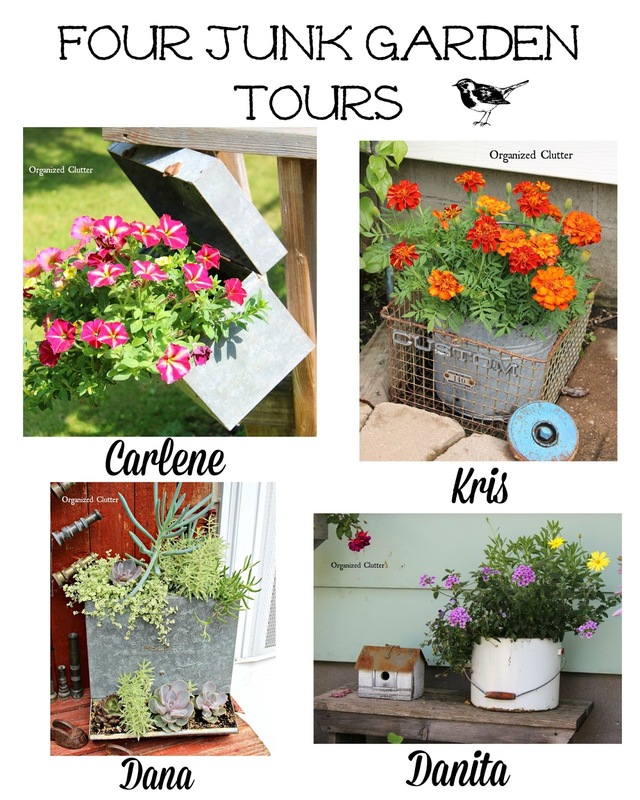 This year I had the privilege to share not only my junk garden tour but also the tours of three of my friends as well! First, my annual Organized Clutter junk garden tour. Next,the Yard of Flowers Tour at my sister in law's house. Next, Dana's Junk Art Displays. I hope to see you back here for Junk Garden Tours 2016! You girls are the junking queens! Love all of these amazing junk ideas! Carlene, loved all the garden tours. Do you and your friends plant seeds or plants already growing that you buy from a nursery, etc. Thanks for so many good idea's. Wish I lived where plants grew like this. Thanks for the tours. Love junk gardens........thanks for the tours...........awesome!! Excellent features. Thanks for sharing.